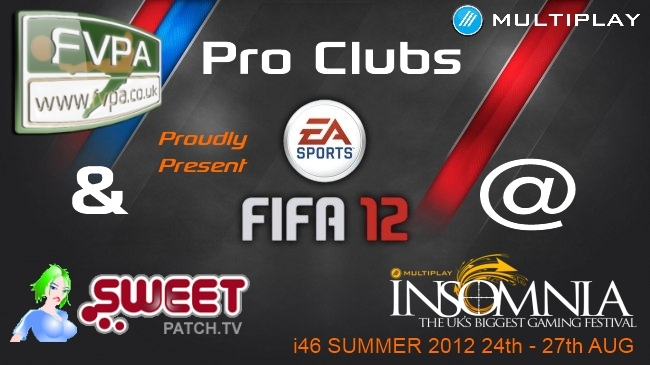 Sweetpatch TV and our partners at the FVPA will be running the first ever offline FIFA Pro Clubs pilot event at insomnia46 (i46), the UK’s biggest gaming festival. This event will be a pilot for future Pro Clubs offline events and you can find all the information and how to register your team here. Multiplay have allocated us 8 Xbox consoles, therefore we will be inviting you and 3 mates to compete in this pilot tournament 4v4, don’t worry if you have more players available, you can have more teams! This was the big complication! We discussed exactly how we could utilise our own Virtual Pro’s but logistically it would have caused all sorts of problems, since the VP data is stored on your console and not online. As this is the first event of its kind and we want things to run as smooth as possible we have opted to use the base Virtual Pro’s – Each team before KO of their tournament match will be allocated time to modify the available attributes, position, height, weight, foot etc. It’s not perfect but everyone will be in the same boat. 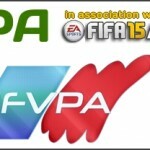 Fifa 13 VP’s will be online and we’ll be working hard to work out how to use them at the next event! Tickets are available online and can also be purchased on the door. So what can you do on a £10 pass? Well, you will have access to the Exhibition & Live Finals Arena, with loads of competitions, free to play console areas, tournaments and activities to enter, as well as all the action from the main stage! This ticket also allows you to visit other gamers in the BYOC hall should you wish to do so. This ticket allows event access between 10am and bar close, but excludes camping. There are other Options for tickets available, if you want to attend for more than 1 day, camp all you need to cover yourself for is payg and f2p to be eligible for Sundays Tournament ! Although this is a free to play pilot tournament, we will be bringing along some token prizes, these will be announced shortly. We will of course register any other teams on the day, players can join up and form teams. We are really looking forward to our first ever offline event and looking forward to meeting Club players in the flesh.